Sick and tired of replacing your cheap chinese imported units? 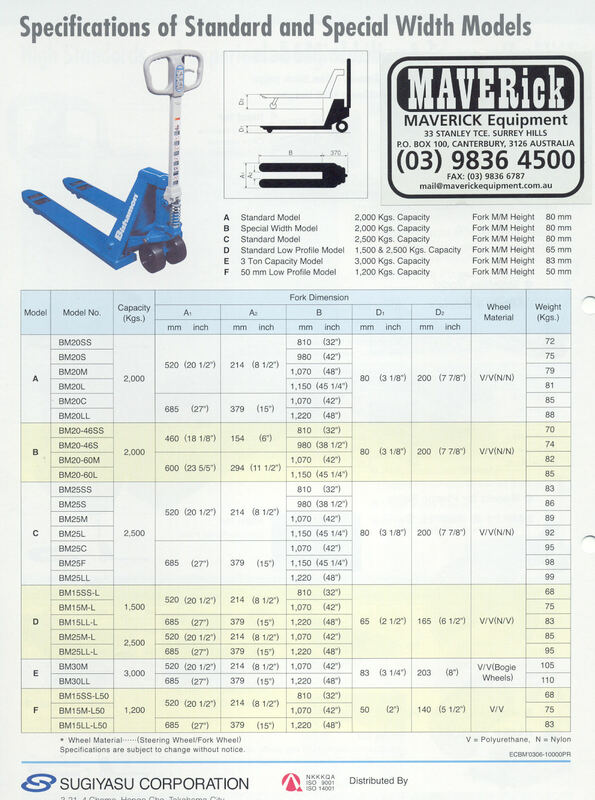 Japanese made Bishamon Pallet Trucks are made of high-quality steel making them very durable, and will easily out last these cheaper imported units. 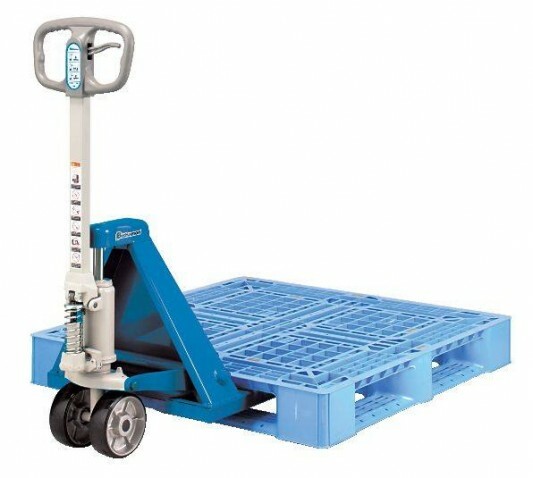 They’re easily manoeuvred in and out of pallets and dock boards with lowered heights down to 40mm which are handy for specialised applications like movement of vending machines. They can handle loads of up to 2500kg and the extra-wide polyurethane rubber wheels provide smooth, quiet rolling and easy steering with added stability and traction. The three position control lever on the ergonomic moulded handle provides fingertip control of the complete hydraulic system. 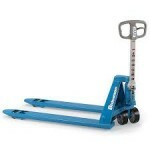 A Bishamon Pallet Truck is a necessary and versatile addition to any warehouse, stockroom or any location where pallets need to be moved.